When you hire a locksmith, the last thing you are thinking about is if you are going to be scammed by a company. Your thoughts are all about getting the job done, getting you out of a bad situation when you’ve lost your keys, or getting set up in a new home where you are moving in. For someone that has been trying to get home from traveling and is arriving exhausted and hungry, the worst thing that can happen is to try to open the door with a suitcase in tow just to find that your keys are missing. Calling a locksmith is supposed to be a solution to these stressful, unexpected situations, which makes locksmith scams one of the worst feelings imaginable. Take a look at how you can protect your home, your family, and your wallet from these common locksmith scams that you may run into this year. You already worry about identity theft every time you swipe your credit card or have to submit personal information, but do you also have to worry about when working with a locksmith? Watch out for this scam this year when it comes to locksmiths because now customers can be deceived into giving out personal information that can be sold or used by a criminal later. Companies may do a great a job and charge an appropriate price, but after the service, they may sell your personal information. Look for a reputable locksmith with great reviews and verify their license before hiring them for the job. Did you find a locksmith charging especially low prices as a one-time special? When you find a locksmith with unbelievably low rates, it’s a good sign that you may end up in a bait and switch situation. What happens is that a locksmith will attract new customers with a really low rate, and by the end of providing service, the price will have increased to 400 or 500% more than the original quote. While the job got done and you are back in your home safe and sound, you are going to end up overpaying a company that you specifically chose for that low price. Don’t fall for a low price scam, and be willing to pay a reasonable price with a company that quotes you appropriately from the start. Watch out this year for locksmiths that pull this trick on you. Some locksmiths will try to tell you that the only way to get into your home is that they will have to break the handle or wrench it off, when in fact, it wasn’t necessary. Then, you’ll end up overpaying for the services and the replacement when it wasn’t even needed. You may fall for this trick and pay for the work and the parts that weren’t needed and not realize until later that you could have avoided the whole ordeal with the right locksmith. You should never have to deal with a locksmith that arrives with incorrect tools for the job, like a drill, rather than the standard tension wrench and lever pick. Look for a reputable locksmith that won’t suggest outlandish methods of getting back into your home. Along with the scam of overpaying, you may run into a locksmith that demands a cash only payment. They are really scammers who arrive posing as locksmiths, do the job to “fix” the lock, and then ask for cash only rather than another form of payment. This is a good sign that it’s a scam because the scammer doesn’t have to worry about you disputing the charge later or realizing they aren’t a licensed and legit company. Make sure to ask a locksmith a few questions before hiring them, such as a price estimate, how they plan to get into the house, where they are located, and whether they would need to use a drill or what could cause the price to vary. These questions will help you avoid being scammed this year when you need a locksmith during a stressful situation. 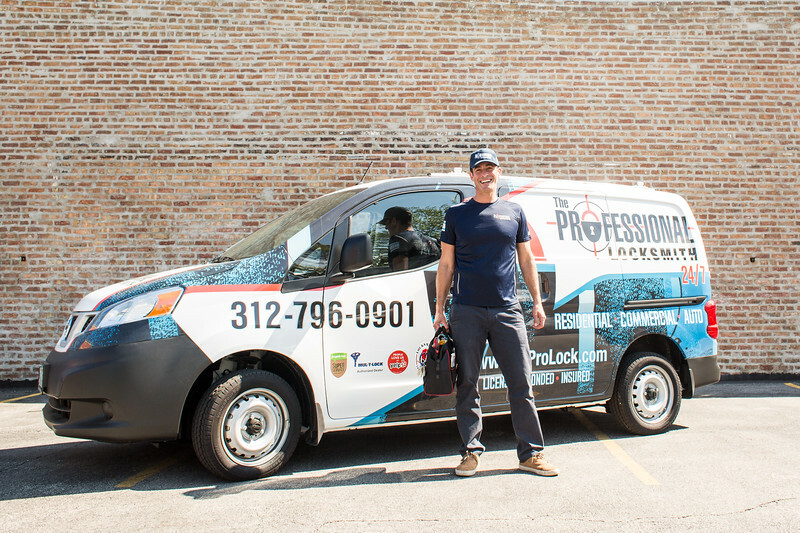 Call the very reputable The Professional Locksmiths for all your Chicago Locksmith needs!